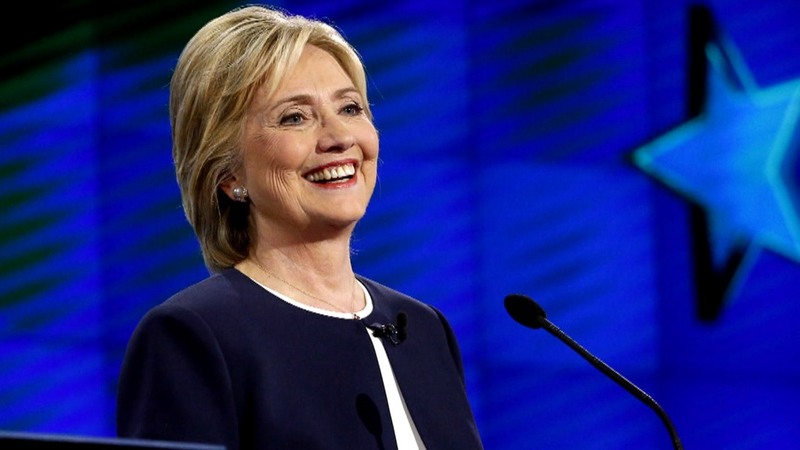 Hillary Clinton’s performance in Tuesday night’s debate resonated strongly among members of her party, with more than half—56%—saying she won the debate. 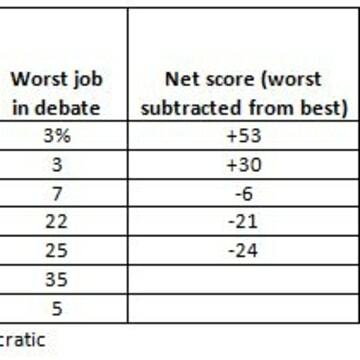 Just 3% of Democrats who watched or followed coverage of the debate said she did worst, giving her a net performance score of +53. 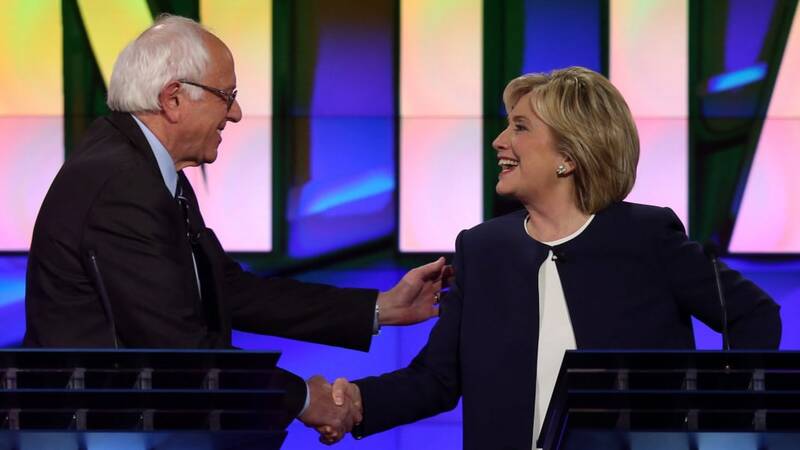 Bernie Sanders scored a +30, showing he still appealed to a significant number of Democrats, according to the latest NBC News online poll conducted nationwide by SurveyMonkey from Tuesday evening immediately following the debate until Thursday morning. Before the debate, a number of pundits said Martin O’Malley needed a breakout performance similar to Carly Fiorina’s first debate, in order to gain name recognition and put some momentum behind his campaign. But O’Malley fell short of that goal, with a tepid score of -6. Lincoln Chafee and Jim Webb were also rated poorly, scoring a -21 and -24 respectively. 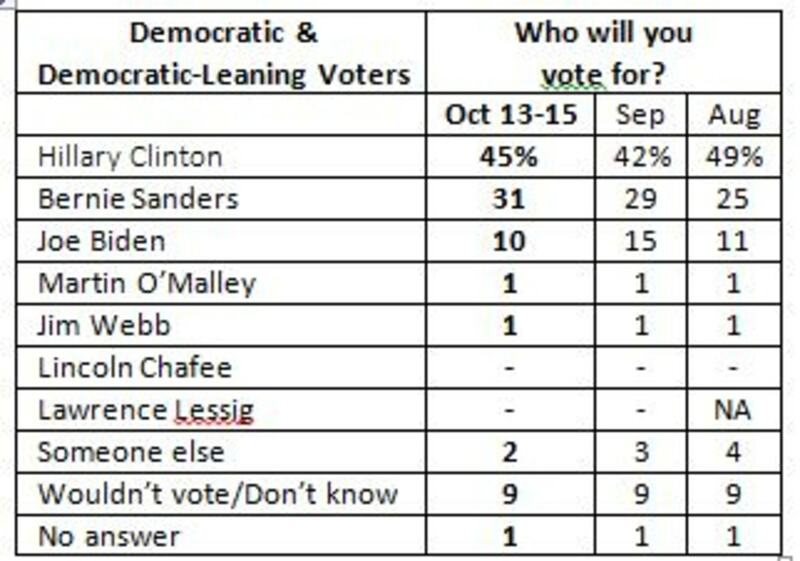 The primary race looks fairly unchanged since last month for the top two Democratic contenders. 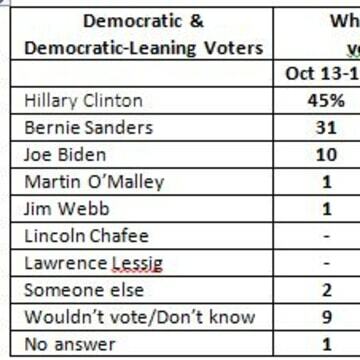 Clinton leads Sanders by 14 points among Democratic and Democratic-leaning voters. Support for Joe Biden has dropped off by 5 points, possibly due to diminished expectations for the vice president’s entry into the race. In last month’s NBC News/SurveyMonkey poll we saw the erosion of a number of key Democratic voting groups from Hillary Clinton to Bernie Sanders and Joe Biden. The voting public is notoriously fickle at this time in the campaign season, with more than three months to the first caucus or primary. 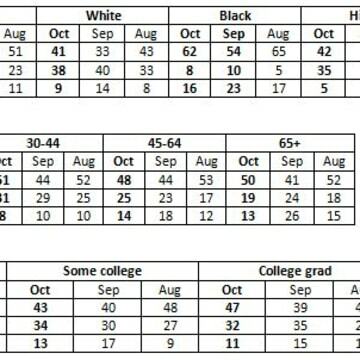 With the caveat that these subgroups have smaller sample sizes, and therefore tend to have more volatility, a number of important voting groups – men, whites, blacks, college graduates, and those over 65 are back in Clinton’s camp. However, Bernie Sanders has picked up considerable steam among young voters, capturing the support of 54% of those under the age of 30 compared to Clinton’s 26%. Among Hispanics, Sanders has more than doubled his level of support, to 33%. He also continues to gain traction among those with a high school degree or less, although Clinton is still outperforming him by 18 points. Fortunately for Clinton, these groups do not tend to turn out in primary elections as strongly as the groups from where she draws her strength. It’s also important to note that Sanders has not necessarily lost backing since last month – Clinton’s pick-ups come mainly at the expense of decreased support for Joe Biden. Stephanie Psyllos, Hannah Hartig, and Josh Clinton contributed reporting. The NBC News Online Poll was conducted online by SurveyMonkey from October 13-15, 2015 among a national sample of 4,898 adults aged 18 and over. Respondents for this non-probability survey were selected from the nearly three million people who take surveys on the SurveyMonkey platform each day. Results have an error estimate of plus or minus 2.0 percentage points. A full description of our methodology and the poll can be found here. The poll was produced by the Data Analytics Lab of NBC News in conjunction with Penn’s Program on Opinion Research and Election Studies with data collection and tabulation conducted by SurveyMonkey.